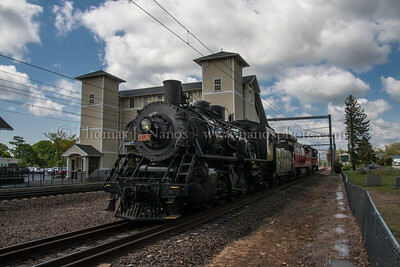 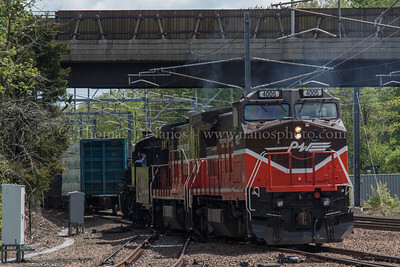 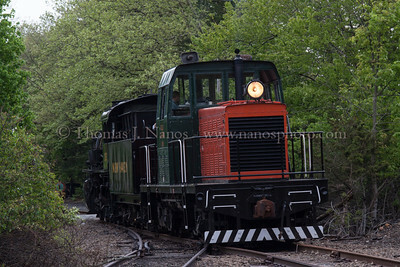 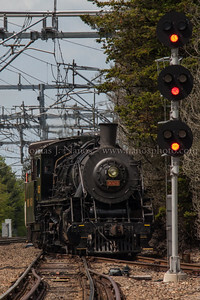 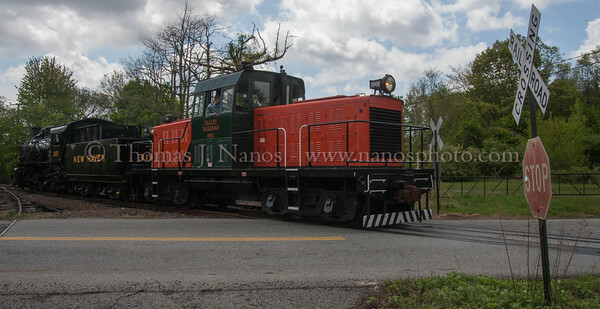 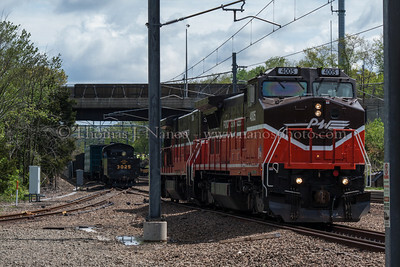 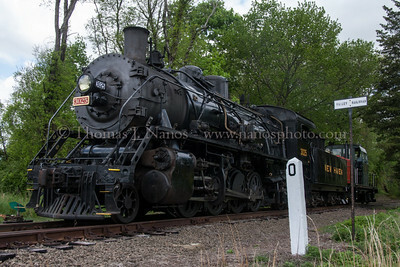 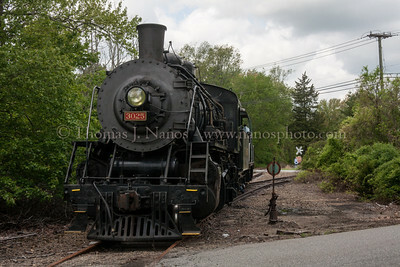 Providence & Worcester train NR-2 turns Valley Railroad Mikado "New Haven" No. 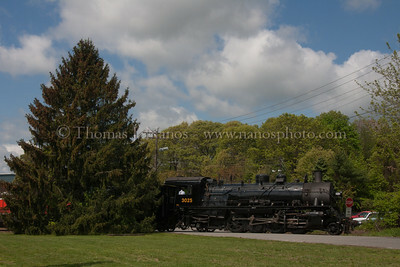 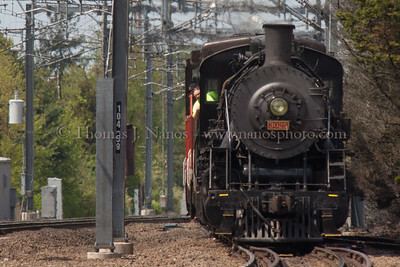 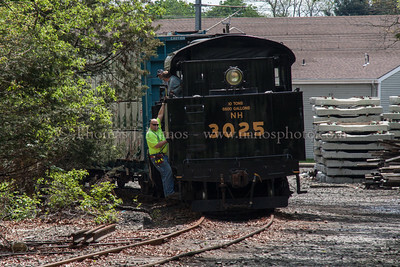 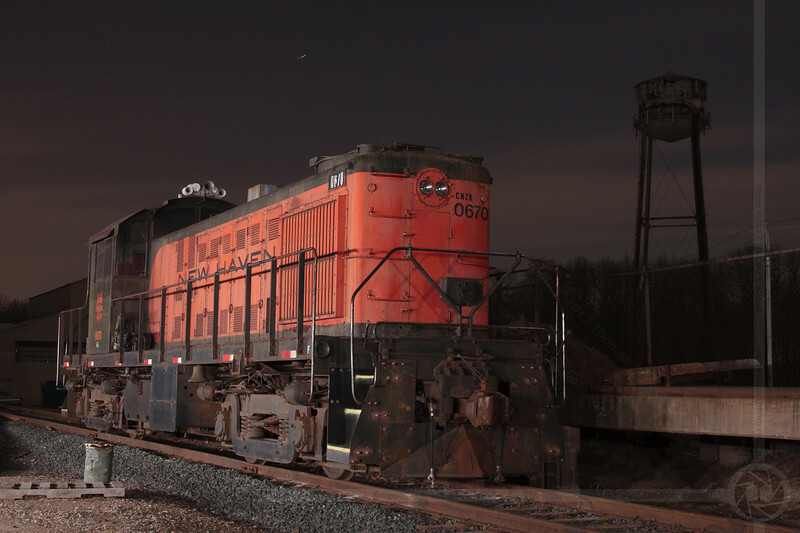 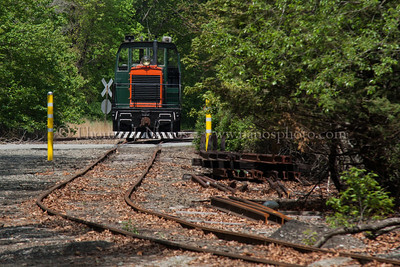 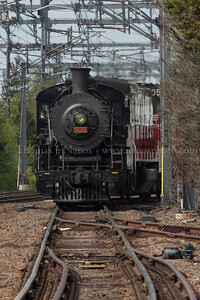 3025 in Old Saybrook, CT. 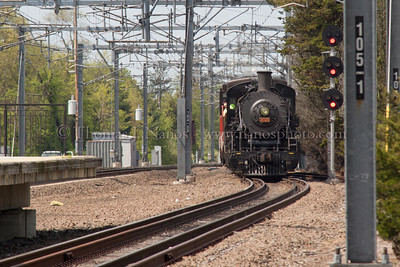 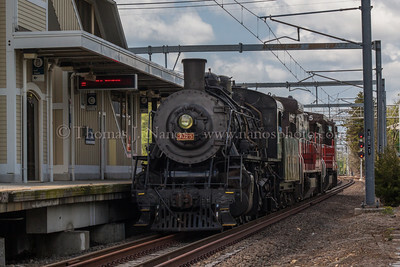 Here they are shoving east on track 3 past the station. 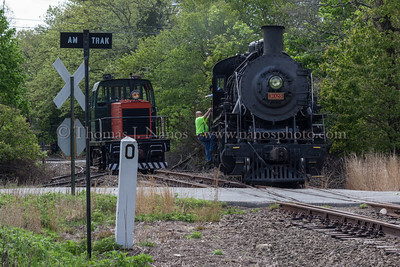 From there, they will shove the locomotive up the east leg of the wye so she'll be facing south.